Add-On Computers entire line of memory modules allows you and your business to be more efficient. Our memory line includes the most reliable and H performing memory modules. Dimensions: 0.75 Thickness x 2.50 Width x 6 Length. 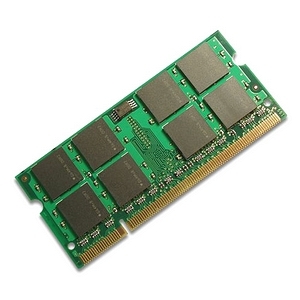 This memory module is built to JEDEC Standards to meet or exceed the Tier 1 OEM's factory requirements. All AddOn memory products are 100% tested and 100% guaranteed to be compatible with the systems it is intended for. This memory module is built to JEDEC Standards to meet or exceed the Tier 1 OEMs factory requirements. All AddOn memory products are 100% tested and 100% compatible with the systems it is intended for. Memorys main mission is to bring quality products with experienced and expert advice to its customers. All ACP-EP Memory products are quality tested for performance and 100% compatibility.